Out litter picking this afternoon/evening I got talking to a group of teenaged girls. One said how it used to be where children had their own groups and kids/teens didn’t mix but now everyone mixes. 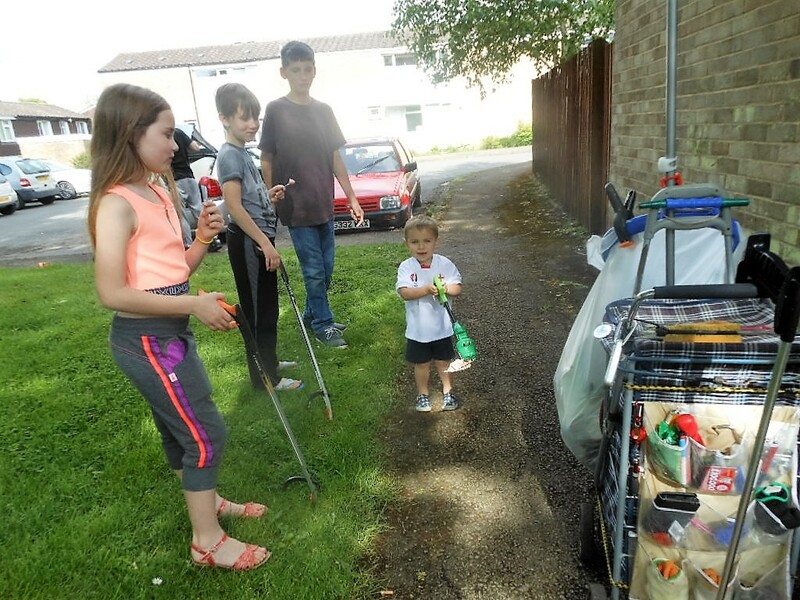 We also discussed how important our younger estate children feel when they help litter picking and when residents stop to thank them I see these kids suddenly look taller, chests puffed out and a smile on their faces. 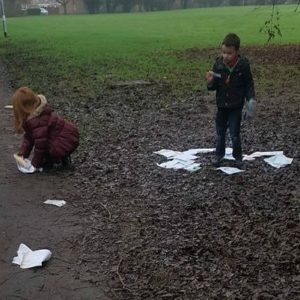 Another said how her brother isn’t naughty when he is litter picking. 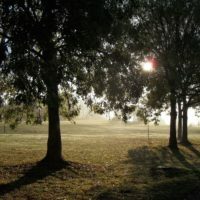 I really love how litter picking has united our community. Sam, Logan 1, Harley, Granger Litter Ninja Circle Park Children, Logan 2, Ryvan, Daniel (Даниел) and Nikolai for helping me out today litter picking. I only went out to check out the newly repaired Severn steps but you kids saw me and wanted to litter pick, I never say no to your eager enthusiasm to help me out, If only I could bottle it. You are a credit to yourselves and your parents. Parents… every time a child wants to litter pick with me I always tell them where I am going and ask is this also where your parents allow you to go as well as asking them what time their parents want them home so I can make sure they are where they should be and home when they should be. 4-year-old Jayden now has his own litter picking trolley, he was so proud to show it to me. I am so proud of our Granger Litter Ninjas, you young people make such a difference to our estate, I can’t thank you enough. Out on a litter pick today with Harvey, we were joined by Damian and Olivia ( Olivia I hope I spelt you and your brother’s names correctly. 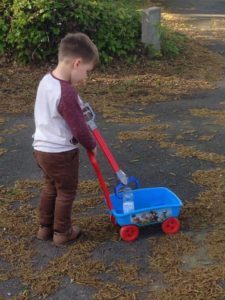 What made me laugh out loud though was Kyle ditched his crocodile litter pick stick, favouring mine lol and then as we went to go Kyle kept saying ‘Just one more’, this is his nan’s saying and now a litter picking saying. High 5 to all who helped you are amazing and help to unite our community. Did he use this for his own gains? No, he swapped it with his mum and bought a litter hoop like mine. I went on a litter pick today. Tamar Square, the parking area and the Pike Park were spotless/litter free. 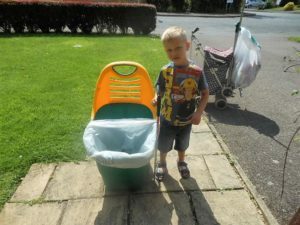 Bless Jack, he had been out with his own litter trolley clearing any litter. I love how so many of our estate children care about our estate and want to help keep it a clean and great estate. Harvey, Jayden, Chloe, Muhammad, Tiegan, Logan, Edam (sorry if I spelt any names incorrectly) and the new to our estate Moldovian resident children), who have all helped me today. I am always flabbergasted by the response of our Grange children, I never need to ask for their help because they get to me asking to help litter pick willingly, they know how important it is to look after where we live. We live on an estate with so much open space, which is rare these days, compared the newer estates. 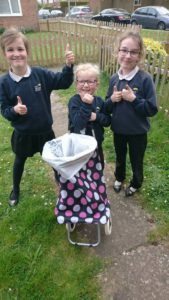 Our Granger children can almost go all over our estate without crossing a road, they can play on all the many grass/play areas without avoiding broken glass, shredded cans and dog poo. When the Grange was built it was considered a pioneering estate and I believe it still is today, we are so lucky to have all this open space. What was my task to get rid of the litter blown into my garden, has now developed into eliminating all the litter on The Grange! Scarlett, Crystal and Coral Barbour are so pleased to be the proud owners of their very own litter picking trolley. 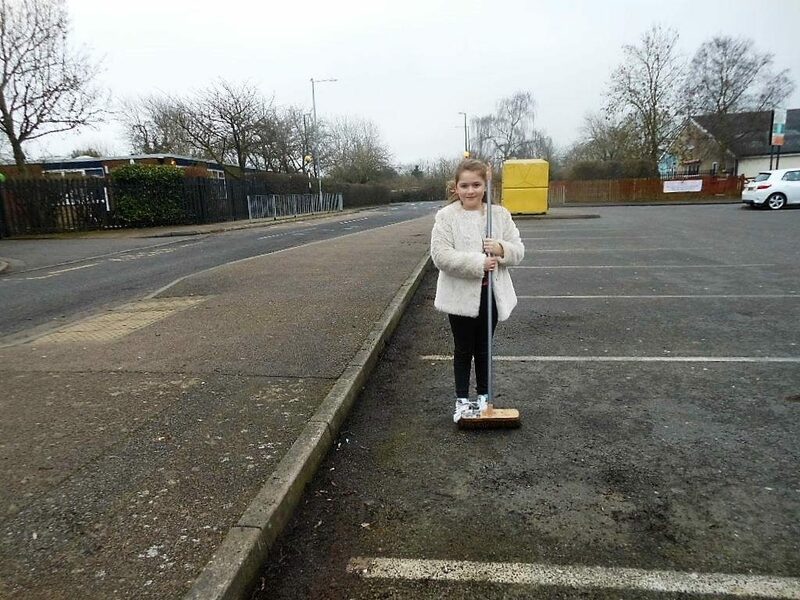 Thank you, girls, mummy and daddy for not just litter picking the Grange Estate but also other areas in Daventry. 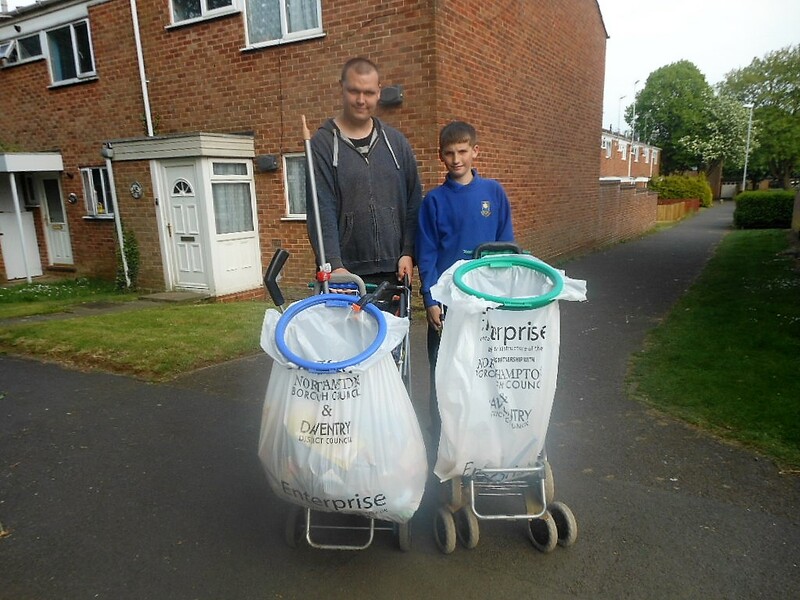 Litter picking is now so trendy, it’s the norm on our estate and so are litter picking trolleys. 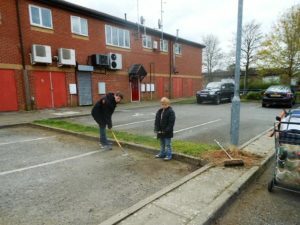 All we ever wanted to do is make our estate a better place for all to enjoy and with all your support this is happening. I popped into The Pike and Eel Pub Daventry this afternoon. 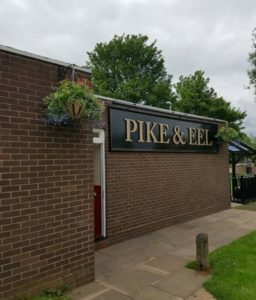 I don’t think any other pub in the UK would have had the request I heard from 4 small children ‘Excuse me, Bev can we please use the litter pick sticks’ and then off they went to look for any litter that might have been dropped. 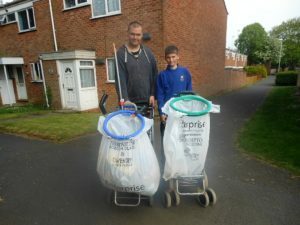 Thank you, Granger Litter Ninjas, you are a credit to yourselves and your parents and a huge asset to our estate. Thank you, Donna, for sharing this with me. 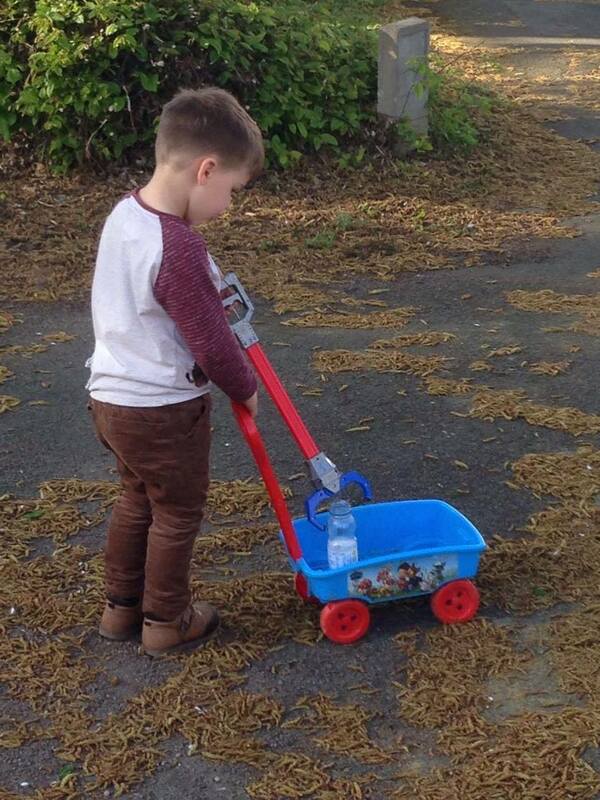 I love Charlies litter pick stick and Trolley. You know we have cracked the litter problem on our estate when Alex, Kenzie, Logan and Teigan are having to share a piece of litter that they have found. Thank you, Ruben and Hannah for helping me litter pick around the Heli Park, you are experts in spotting the litter I have missed. Thank you, to all Granger Litter Ninjas for not only helping but also for your energy, enthusiasm and efforts towards ridding our estate of litter, making it a great place for all to live and enjoy.